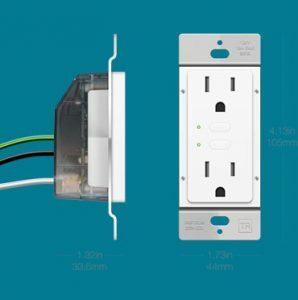 An electrical outlet is anything, such as a socket, which is responsible for establishing a contact between an electrical supply and the electrical device. The drive for saving energy is in full flow, now on a global scale. Every year thousands of articles are published on the subject. There are many ways through which energy can be saved. We wrote before on things such as energy efficient home appliances , and Ecowizz is all about energy saving techniques, and much more. Continuing with the subject here we will look into the idea of ‘energy-smart electrical outlets’. What Is An Electrical Outlet? In most cases, these outlets are fixed in walls in the home. However this is not the rule of thumb as they can be installed on floors as well. 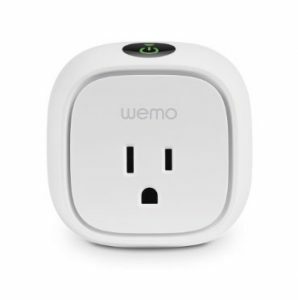 The WeMo Insight Switch is a WIFI-enabled device that contains only one outlet. The outlet allows you to turn devices off and on from a considerable distance. This ‘smart’ outlet also has the ability to monitor what has been connected with it. Once connected, it also sends the information related to the energy hog to your tablet or your smartphone via its related app. 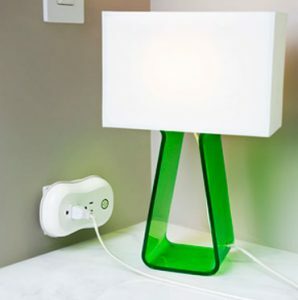 The outlet is fully compatible with the WeMo ecosystem which means that you can easily tie up to multiple devices. The outlet is equipped with web-based software which allows you to adjust and track the power schedules. The ThinkEcomodlet is blessed with a feature through which it can cut power into electronics (based on personalized scheduling). The outlet is equipped with web-based software which allows you to adjust and track the power schedules. Through Android apps and the modlet’s iOS app, you can control different devices on the fly. The ThinkEcomodlet has 2 sockets and each of these has an individual power measurement which is at the minute level in nature. The best thing about this outlet is that once you use it for a week or two, the software automatically recommends you different techniques through which you can reduce energy consumption effectively. The recommendation can be enabled by you just through a mere click. The outlet also contains features like a countdown timer, scheduling and also an anti-theft measure. 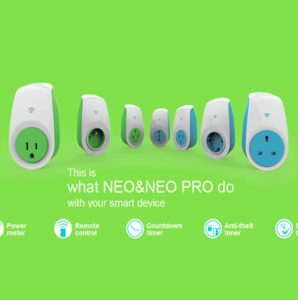 Ankuoo NEO comes with a remote control to let you turn things off or on from your office, living room, bedroom, even your driveway! The outlet also contains features like a countdown timer, scheduling and also an anti-theft measure. The anti-theft measure turns off the lights once you are outside the city or town, for example. All you need to do is to download the Android app and get the NEO plugged in. The Insteon On/Off Outlet is tamper-resistant. Moreover it is also equipped with dual-band technology. The device also allows you to do scheduling, scenes, alerts and much more. The white version is the standard version; however, by paying a little extra, the device also comes in black, almond and ivory. You can explore more on outlets by visiting this one by Safewise. Energy smart outlets are gaining a lot of popularity with each passing day. It is very possible that these outlets will dominate the market in the near future. As a responsible citizen, it is recommended that you purchase these outlets at the earliest so that a sufficient amount of energy can be saved.